Traveling Girl with a Suitcase Heart: Matchmaking... just a little. I have a beautiful niece, Anna Lynn, who will turn 1 on May 22. 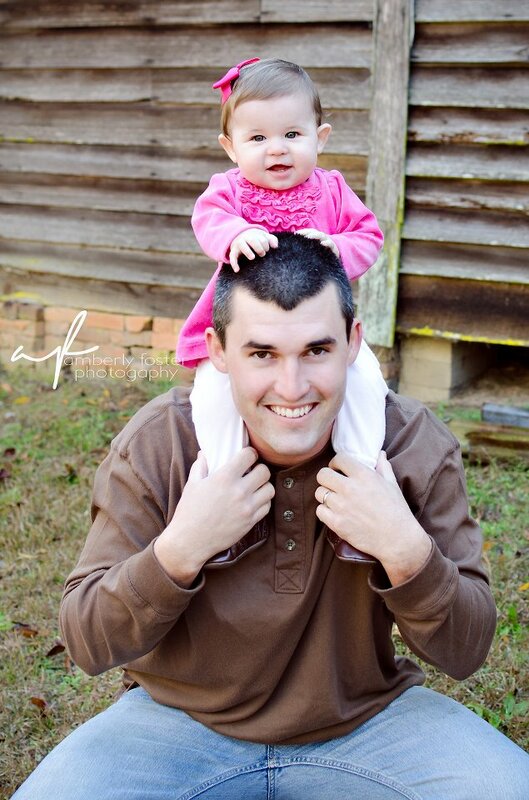 This photo is of her and her daddy (my brother of 23 years). Also, the photo credit goes to Amber Foster Photography. Anyway...I have found the cutest Spanish boyfriend for her! (hypothetical of course. I don't want everyone to get all excited). His name is Alonso and he will be 2 years old this summer. I teach his older brother and sister English. Who knows? Maybe they can meet up one day! awww...how precious!!! :) He's very cute!! !